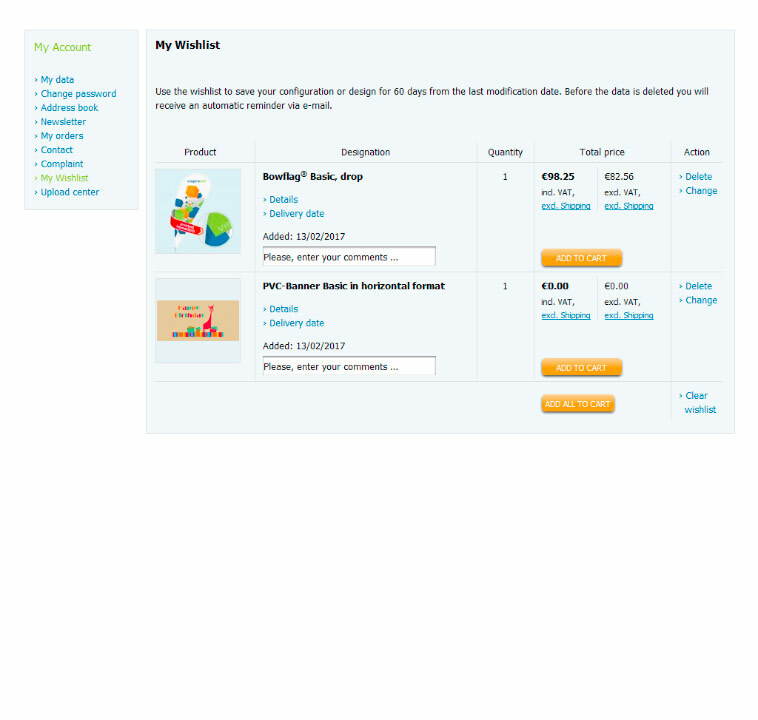 Use the wishlist to save your configuration or design for 60 days from the last modification date. Before the data is deleted you will receive an automatic reminder via e-mail. With the help of "Change" button, you have the possibility to customize your configuration or design at a later date. Please note that you can only save the changes on your wishlist while logged in. Alternatively, you can add the product directly to the shopping cart where it will also remain stored in logged in state for 60 days.